Planet Yucca’s Turkish Night takes place at our restaurant in Kusadasi every Sunday and Thursday night throughout the holiday season. This is your chance to see some professional Belly Dancing and have a lot of fun learning the art of Belly Dancing yourself, if you want to !! This is a popular night for all ages to enjoy! We also have our usual great live music on these nights, aswell! We do get pretty busy on these nights so it’s usually best to reserve your table for dinner in advance ! You can easily reserve your table and your free,local taxi service via our reservation section on this website. 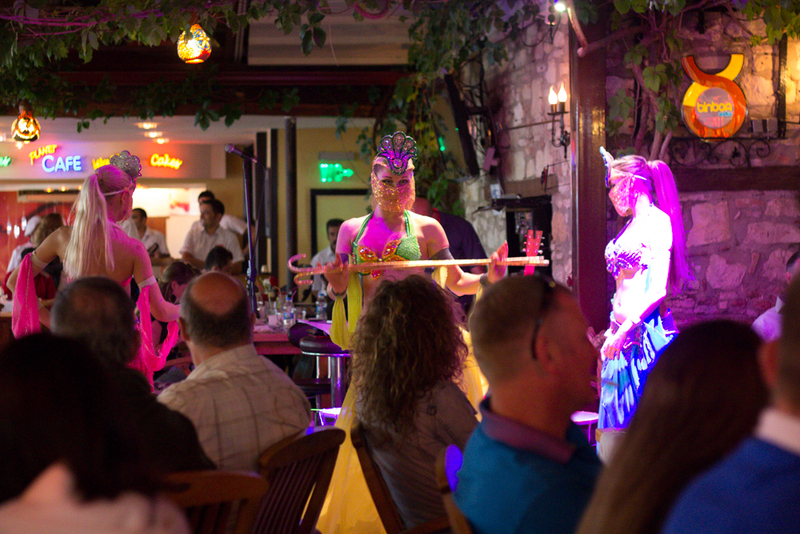 Click on the link below to check out the video for a preview of the fun Turkish Night that takes place at our restaurant in Kusadasi ! Hope to see you this summer !